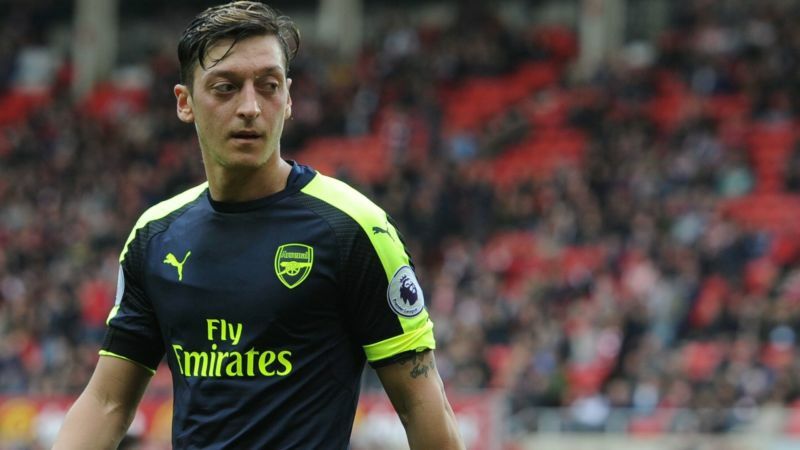 Arsene Wenger says it would be “an intelligent decision” for Germany to rest Mesut Ozil during the upcoming international break. Germany coach Joachim Low plans to leave Ozil and some other key players out of his squad for the World Cup qualifier against minnows San Marino and friendly against Italy, according to kicker magazine. “I think that would be an intelligent decision and I would welcome the decision,” Wenger said on Thursday at his news conference ahead of Sunday’s derby against Tottenham Hotspur. Ozil has been in stellar form for Arsenal and scored a spectacular 88th-minute winner against Ludogorets in the Champions League on Tuesday. That was his seventh goal of the season in all competitions. Wenger said he ” got noise of” Low’s plans as well, but that he had not received confirmation that Ozil will be left out of the squad. “We have to wait until he gives his selection out to see if Mesut Ozil will get a rest or not,” Wenger said.